It’s time to send out Christmas packages to your sponsor children! It normally takes about two months for items to reach your Compassion children, so I try to send my Christmas packages out by early October each year. 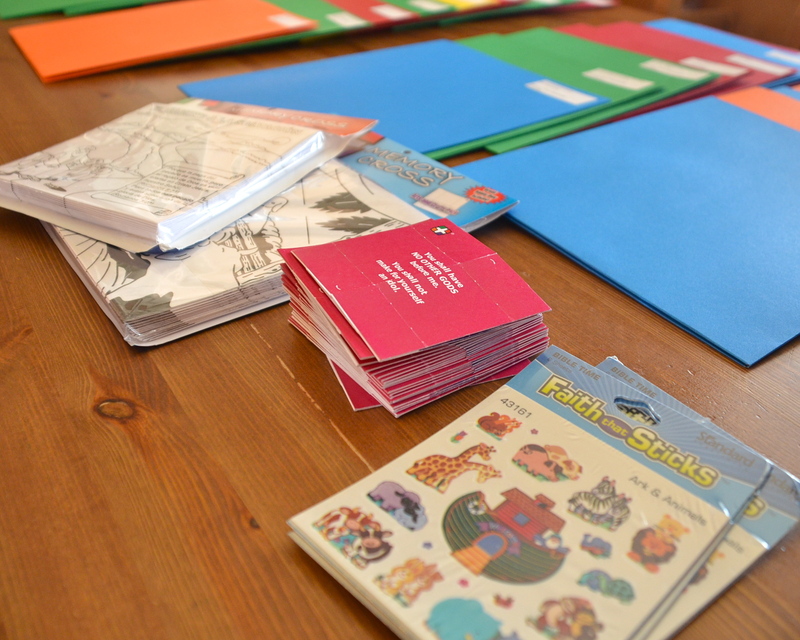 This year, my children and I put together packets for our sponsor children including items like stickers, bookmarks, coloring posters, thin paperback books and Christmas cards. Foldable cards from Memory Cross and Noah’s Ark stickers. 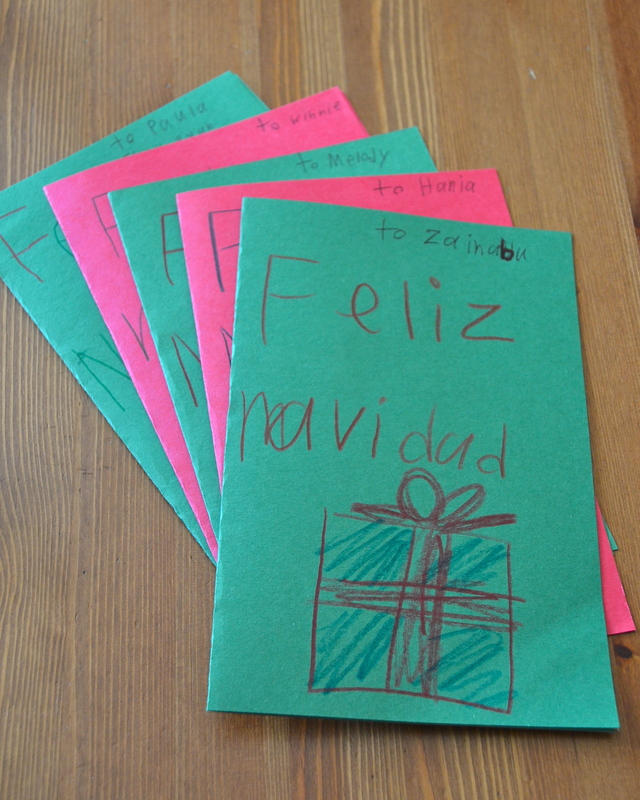 Christmas cards made by my daughter. Once we had everything together, we started the assembly line. 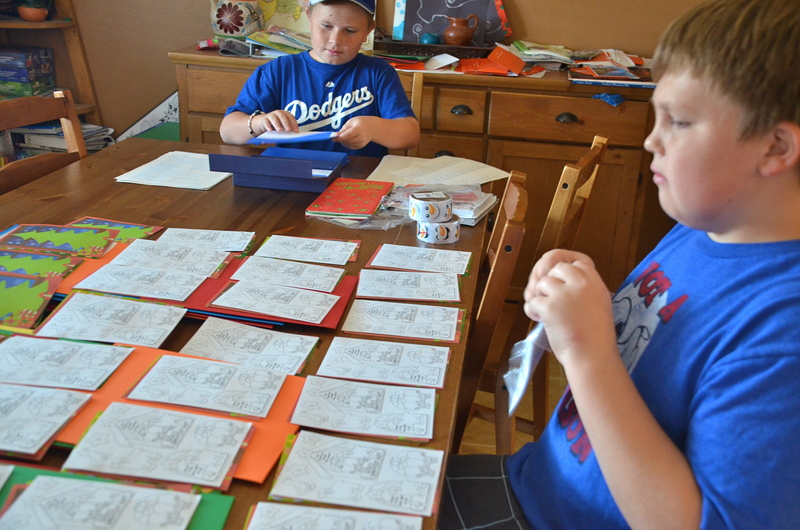 My sons assembling the Christmas packets. We put all the smallest items into a Christmas-patterned paper bag, which we stored in a paper folder with pockets along with any larger items. We also labeled any larger items and the paper folders with each child’s name and identification number, and my name and sponsor number. We ordered some of the items online from Memory Cross, ChristianBook.com and Oriental Trading. Remember, Compassion has some size restrictions on packages. Items must not exceed 8 1/2 by 11 inches and be 1/4-inch thick or less. Please check out this link for other restrictions. 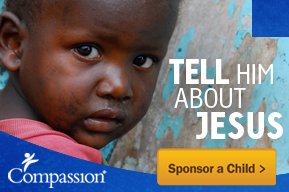 This entry was posted in Compassion International and tagged Christmas packages, Compassion, mailing, sponsor children. What fun Christmas gifts!!! I love how you have your kids involved. And what a great idea to put everything in folders!! !